Discuss different texts on a similar topic, identifying similarities and differences between the texts (ACELY1665). OI.2- Aboriginal and Torres Strait Islander communities maintain a special connection to and responsibility for Country/Place throughout all of Australia. OI.5- Aboriginal and Torres Strait Islander Peoples’ ways of life are uniquely expressed through ways of being, knowing, thinking and doing. Work collaboratively- identify cooperative behaviours in a range of group activities. Make decisions- practice individual and group decision making in situations such as class meetings and when working in pairs and small groups. Reinforce our class communication protocol by encouraging the children to nod their heads or do a ‘thumbs up’ sign if they understand the content of the lesson, or shake their head and ‘thumbs down’ if not. 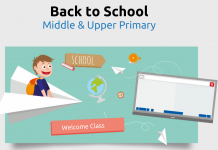 Introduce the lesson by viewing the ‘How we are learning slide’. Group discussion on previous learning on the changing season and things we noticed and collected from our environment as we walked around our local area. Draw children’s attention to the learning map slide and point to each item as I explain the children process we will follow this lesson (watch first then do). Introduce the two texts we will be looking at, a five minute digital text from an online resource called ‘Twelve Canoes’, the story we are watching is called ‘Seasons’ and ‘Ernie Dances to the Didgeridoo’ by Alison Lester. We will then discuss the similarities and differences between the texts (teacher to add key words to whiteboard). We will be using these texts to add to our understanding of the seasons. Look at map of Australia slide and point to Arnhem Land and our location, comment on the distance, ask if anyone has been to Arnhem Land, if not briefly discuss my own experience and impressions of Arnhem Land. We are going to make a plan to which we will use next lesson, work individually or in small groups to make a mind map of ideas to use to create our own texts based on the seasons of our place. Discuss key points of story and write key words on white board. What ways do Aboriginal communities notice the seasons are changing? (OI. 2). Model myself as a learner by using a dictionary to look up the word ‘monsoon’. Ask the children if there are any words they did not understand, use dictionary and write meaning on whiteboard. Look at final ‘Creating our texts to share slide’- Discuss and write key words/ideas on white board. Talk briefly about cooperative behaviours we value when working in groups. Look at ‘What is a text?’ slide. Then children choose to work in small groups or individually, use butchers paper and textas to create a mind map about the seasons, they might choose to talk about the seasons where we live, seasons in Arnhem land or compare the two places. As children begin to pack up, summarise our learning during the lesson. Explain that I will add to our ‘How we are learning’ chart and I will make an additional slide with some of our ideas and learning as a starting point for our next lesson when we will create our texts, to share with our community. 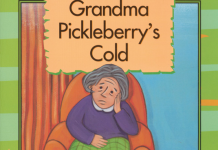 Watch for children’s engagement during class discussions, story and digital story (ACELY1665). Observe children’s participation in mind map activity- are they working individually? If working in a group how are they contributing to the group? Are they writing or sharing their thoughts and ideas? As children are working on their mind maps- did they follow instructions? Observe and interact with children to ensure they understand the requirements and are contributing in their own way. 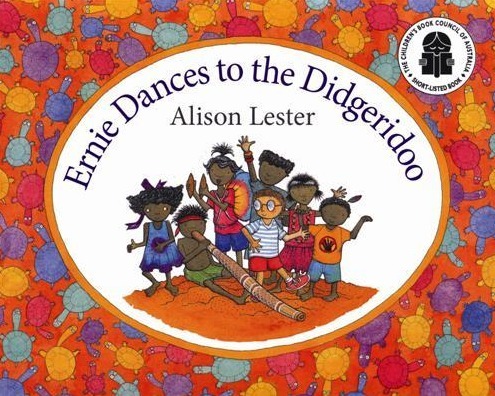 Picture book- ‘Ernie Dances to the Didgeridoo’ (2001) by Alison Lester which is a story about Ernie who goes to live in Arnhem land for a year. Ernie writes letters to his five friends at home about his new home, friends, the changing seasons and life in Arnhem Land. 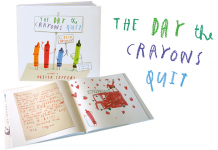 Alison Lester based this book on a story written by the children at the Gunbalanya Community School.